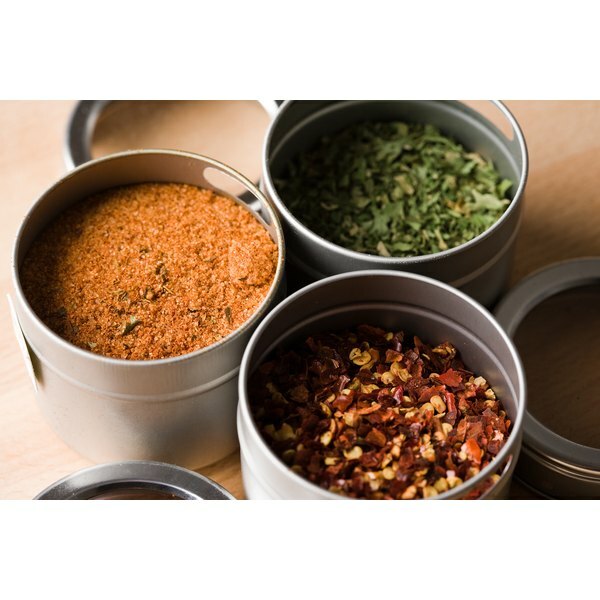 Using fresh spices is always a bonus in the culinary world, but during the off-season when fresh spices are not available, it is a treasure to have your own hand-dried spices on hand. You can dry herbs and keep them whole, or crush them into a fine powder to be kept in your spice cabinet. All leaf herbs can virtually be dried following the same method, while chili spice, or dried chili peppers, must be dried using a longer process. Once peppers are dry, you can crush them into a fine powder using a mortar and pestle. Harvest your herbs in the morning. As crazy as it sounds, herbs are the most potent in the morning just after the sun has dried the morning dew. 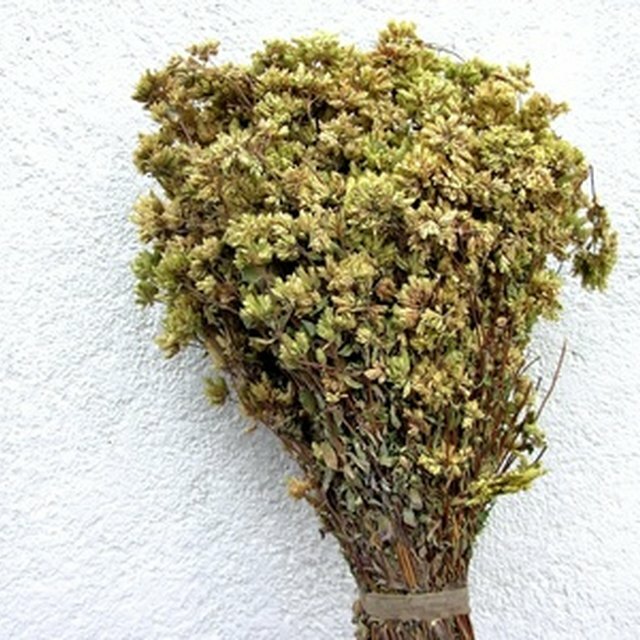 Cut and collect only healthy branches and leaves for drying; you do not want to waste time drying and storing withered or bitten leaves. Clean by first shaking and then gently rinsing in cool water. Herb leaves are delicate and could either wilt or break if you attack them with a powerful stream of hot or cold water. Let them dry flat on a clean dish towel or paper towel. Dry the herbs using a method that is most conducive to your environment. If you live in a humid or cold area, outside sun or air drying is not the best method for you. For moist environments, dry your herbs first in a dehydrator or in the microwave on low power for three minutes. Dry the herbs by hanging. Create a “holding stem”on the branches, that is an leaf-less area on the lower parts of the stem to allow for tying. Pull off any small leaves on the lower portion of the stem. Tie four to five branches together with a string and suspend from the ceiling, a rack, clothesline or beam in a warm, dry, and well-ventilated room. Check the herbs periodically to see if the string needs to be tightened (as they dry they shrink, and the string will become less taut). Crush into a powder spice, or leave whole. Store in a dry container. Purchase or collect home-grown peppers. You can use any kind of chili pepper for drying. Dry the peppers in the sun. If you live in a hot, sunny area (receives at least hour hours of full sun per day) consider drying the peppers in the sun. Cut each pepper in half and remove the seeds. Lay then out flat on a large baking sheet and place in a flat area that receives the most sun. Begin in the morning so that the peppers have the entire day to dry. At the end of the day, bring the tray inside and place in a safe spot. The next morning repeat the drying process for a full eight hours. When they are brittle, they are done. Dry using an oven or dehydrator. For those in less sunny climates, oven drying is the most practical method for drying peppers. Set the oven to 200 degrees Fahrenheit and place the peppers on a baking sheet. Place the tray in the oven and allow to dry out overnight or the whole day (about 12 hours). If you have a dehydrator, place whole or cut peppers on the trays, and turn it on. You will need to leave it on for 8 to 12 hours depending on your model. Hang dry the peppers. Like herbs, you can hang dry peppers if you live in a dry climate. However, hang drying peppers may take up to a month before they are fully dry. To hang peppers, string them together on thick thread or fish line. Use a large-eyed need to thread the string through the peppers. When they are threaded, tie the ends together and hang from the ceiling or beams of a dry ventilated room. Can You Still Cook Green Peppers if They Are Wrinkled?